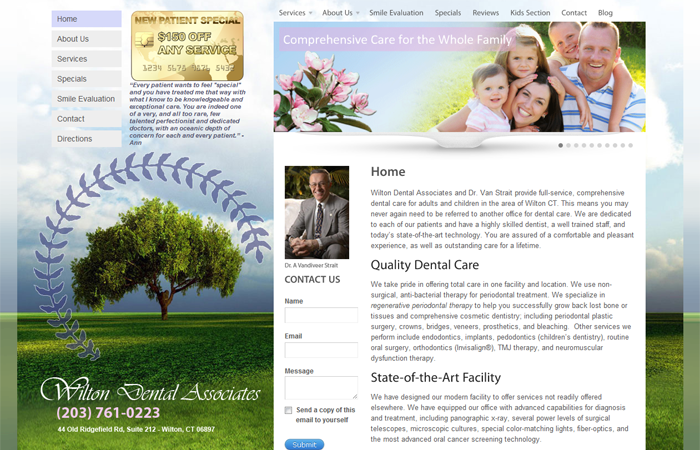 Wilton Dental Associates and Dr. Van Strait provide full-service, comprehensive dental care for adults and children in the area of Wilton CT. This means you may never again need to be referred to another office for dental care. We are dedicated to each of our patients and have a highly skilled dentist, a well trained staff, and today’s state-of-the-art technology. You are assured of a comfortable and pleasant experience, as well as outstanding care for a lifetime.